Obesity is one of the largest health concerns of our modern era. It brings with it higher risks for diabetes and a laundry list of cardiovascular diseases. While there may be no magic pill to help you lose weight, a few recent genetic discoveries bring us one step closer to understanding obesity and how we can tip the scale in our favor. 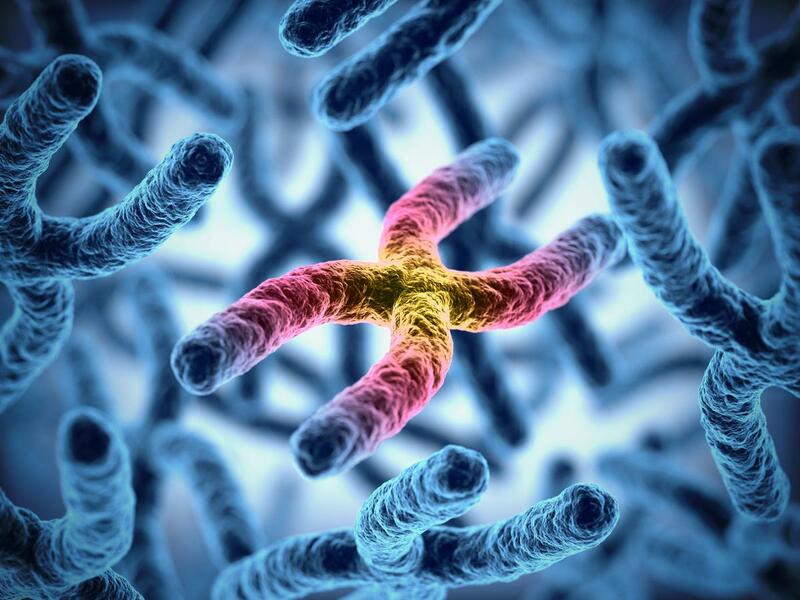 In today’s blog, we’ll examine how genetic variations in the FTO gene relates to your risk for weight gain and what you can do to counteract it. In the US obesity has risen to epidemic levels, affecting around one-third of all adults and one-sixth of children (1). Obesity, as measured by body mass index (BMI) combines weight and height and can be classified as 18.5-25 being healthy weight, 25-30 as overweight and 30 or greater as obese (2). Increasing BMI passed the healthy range is associated with increasing risk for metabolic and cardiovascular diseases. Obesity itself can be simply thought of as an imbalance between energy intake (diet) and energy expenditure (exercise) (3). Weight gain follows when either excess food consumption or inadequate physical activity tips the balance. The FTO gene, which has been lovingly coined the “Fatso Gene,” contains several common variants that contribute to the risk of developing obesity in both adult and childhood. Investigation into FTO gene variants have revealed that they may play a role in obesity by regulating eating behavior and your feeling of fullness (4). What has surprised researchers most is that the genetic variations don’t actually change the protein that FTO codes for. Instead, the polymorphisms alter a non-coding region of FTO that in reality regulates the expression of a second gene player called IRX3 (5). This region in FTO therefore acts as a control switch for IRX3, which itself acts as a gene transcription regulator, to regulate our energy balance (6). The full process is very complex and the mechanisms downstream of FTO and IRX3 are still under active research. One of the most studied variants, known as rs9939609, has a risk allele correlated with up to a 1.67-fold greater risk for obesity. On average, those with 2 copies of the risk allele were 6.5 pounds (3 kg) heavier than those without (7). Through FTO’s effect on obesity risk, it has also been associated with up to a 1.55-fold greater risk in type-2 diabetes (8). Although most studies have been done on European Caucasian ancestries, one study did find the association in Japanese, yet it was not seen in Chinese Han populations (9-10). Another variant, rs1121980, commonly inherited with aforementioned rs9939609, is the strongest associated risk variant for early-onset obesity with up to a 2.76-fold greater risk (11). Although each variant contributes little to overall BMI, the effect from FTO still contributes greatly to the development of obesity from early childhood onward (12). In summary, the FTO gene represents the strongest genetic risk factor for obesity to date. It shows that predispositions for obesity is inheritable but it’s also a little complex. If you’re a carrier for the FTO gene, it doesn’t have to determine your fate. You can gain control of your energy balance and completely negate the effects of FTO with exercise and a healthier lifestyle. As with many things, your genetics play a role, but they never tell the full story; that’s for you only to decide. Ogden CL, Carroll MD, Fryar CD, Flegal KM. Prevalence of obesity among adults and youth: United States, 2011-2014. NCHS data brief. 2015; 219. Hill JO, Wyatt HR, Peters JC. Energy balance and obesity. Circulation. 2012; 126(1): 126-132. Dougkas A, Yaquoob P, Givens DA, Reynolds CK, Minihane AM. The impact of obesity-related SNP on appetite and energy intake. B J Nutrition. 2013; 110: 1151-1156. Ragvin A, Moro E, Fredman D, Navratilova P, Drivenes O, et al. Long-range gene regulation links genomic type 2 diabetes and obesity risk regions to HHEX, SOX4, and IRX3. Proc Natl Acad Sci USA. 2010; 107(2): 775-780. Smemo S, Tena JJ, Kim KH, Gamazon ER, Sakabe NJ, et al. Obesity-associated variants within FTO form long-range functional connections with IRX3. Nature. 2014; 507(7492): 371- 375. Frayling TM, Timpson NJ, Weedon MN, Zeggini E, Freathy RM et al. A common variant in the FTO gene is associated with body mass index and predisposes to childhood and adult obesity. Science. 2007; 316: 889-894. The Wellcome Trust Case Control Consortium. Genome-wide association study of 14,000 cases of seven common diseases and 3,000 shared controls. Nature. 2007; 447: 661-678. Hotta K, Nakata Y, Matsuo T, Kamohara S, Kotani K, et al. Variations in the FTO gene are associated with severe obesity in the Japanese. J Hum Genet. 2008; 53(6): 546-553. Li H, Wu Y, Loos RJ, Hu FB, Liu Y, et al. Variants in the fat mass- and obesity-associated (FTO) gene are not associated with obesity in a Chinese Han population. Diabetes. 2008; 57(1): 264-268. Hinney A, Nguyen TT< Scherag A, Friedel S, Bronner G, et al. Genome wide association (GWA) study for early onset extreme obesity supports the role of fat mass and obesity associated gene (FTO) variants. PLoS One. 2007; 2(12): e1361. Loos RJF, Bouchard C. FTO: the first gene contributing to common forms of human obesity. Obesity Reviews. 2008; 9: 246-250. Kilpeläinen TO, Qi L, Brage S, Sharp SJ, Sonestedt E, et al. Physical activity attenuates the influence of FTO variants on obesity risk: a meta-analysis of 218,166 adults and 19,268 children. PLoS Med. 2011; 8(11): e1001116.